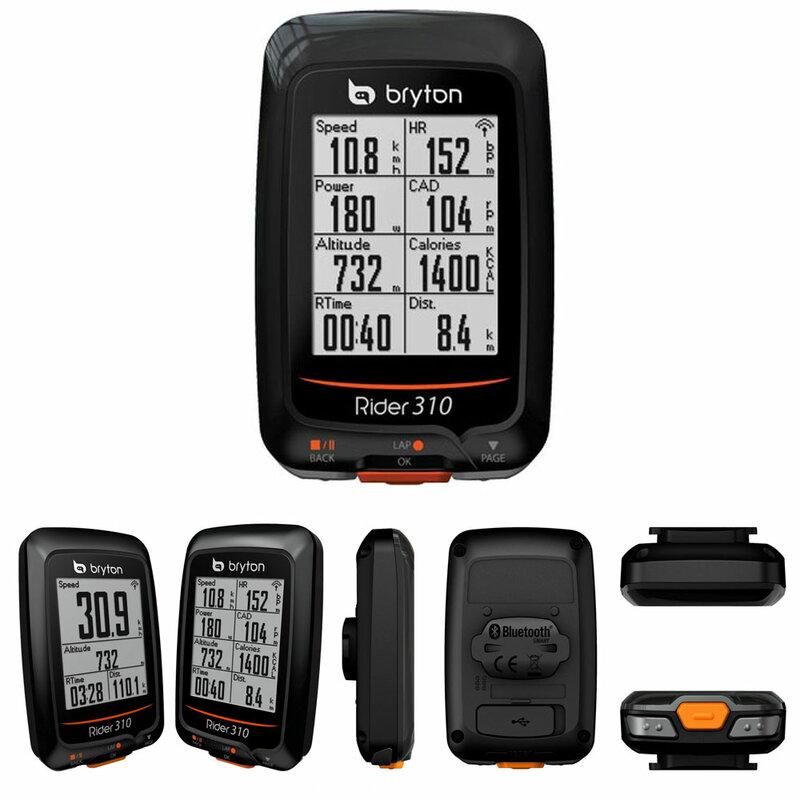 The Rider 310E GPS features Power On and Go with Auto Start/Stop, keeping your focus where it should be…cycling. New train & test feature not only enables you to plan workouts ahead but keeps track of your training progress. The large auto backlight easy-to-view screen displays up to 70 real time data points with customizable data pages. Designed for all around cyclists, the Rider 310E is simple, powerful and affordable. To keep a cycling log to track your progress or share your accomplishment with other cyclists, just plug it into your computer and select files from your device. No software is needed to convert files. Workout files are automatically saved in FIT format, which can be uploaded to popular training sites including STRAVA, Training Peaks, Endomondo, Map My Ride, Fit track and many more. • View stats on device or upload to Strava, Training Peaks, etc. International buyers please check our shipping policies for information on USPS First Class Mail services. We are cyclists, professionals, friends & family all with 1 common goal; growth of the sport through our love for cycling. Since 1979 Bob’s Bicycles has been selling & servicing bicycles to our customers in Boise, ID & beyond. Bob’s is your one stop shop selling all makes & models including Road, Mountain, Cruiser, BMX, & kids bicycles. With over 7500 feet of retail showroom we have what you want, & if not we have the expertise to help you find it. Whether you are a recreational rider, weekend warrior, or Professional rider we want to be YOUR Local Bicycle Shop. We strive to give great customer service & provide an excellent selection. ebay store betterbikes was established in 2001 & has been operated by the staff of Bob’s Bicycles. We are here to assist you with all of your cycling needs. Give us a call to speak with our customer service staff. In most cases your package will ship within 1 business days of payment. In certain instances there may be delays and notifications will be sent through eBay. Free shipping offers are processed as the most efficient method at the time of shipment. We Ship via UPS & USPS daily, fully insured & traceable. Tracking information is provided via email & uploaded to ebay once available. Domestic shipping prices are for the continental 48 states. Alaska, Hawaii, US territories, and APO/FPO shipments are subject to additional charges. International orders are shipped via UPS or USPS. Calculated shipping rates are based on the weight & dimensions of the package. These shipments are processed through UPS Priority Mail Innovations. This service allows us to keep our shipping rates low & we extend the savings to you. The packages are sent through UPS Ground to a sort facility in the USA. From there they are transferred to the US Postal Service for delivery. Like USPS First Class Mail the packages aren’t traceable to certain countries once the package leaves the USA. Whilst most packages are delivered between 10-21 days there may be additional delays based on your country. By choosing this service you agree that the package may be delayed & we cannot be held responsible for any delays in delivery. If you have any questions about the service please contact us through ebay & We will be able to provided additional information. * Transit times are stated in business days (Monday – Friday) and do not include customs clearance. * Import duties, taxes and charges aren’t included in the item price or shipping charges. These charges are the buyers responsibility. * Please check with your countries customs office to decide what these additional costs will be prior to bidding/buying. We offer worldwide shipping. Then again, as a result of box restrictions by the US Postal Service we are unable to ship to certain areas. If we are unable to calculate shipping to your destination please contact us for a quote. Payment by PayPal is the most well liked payment method. For additional payment options please contact us directly. All purchases within the state of Idaho will be charged state and/or local sales tax at the time of checkout. Payment must be received within 4 days of purchase. Non-payment will result in a case being opened by ebay unpaid items assistant. After the case is opened, the buyer has 4 days to pay. If payment is not received the case closes automatically. If you have any questions about our payment policies please feel free to contact us for additional information. We are happy to work with you if you want additional time to pay. Returns are accepted on all new, uninstalled and unused products for a period of 30 days. Please use the managed return process for all items purchased through ebay. The return process gives you a simple and efficient way to handle returns. We will be able to refund actual shipping costs on all mis-shipped or damaged/defective merchandise. At times, we offer Free Shipping with your order. Free Shipping is our gift to you so long as you keep the item. On the subject of returns when Free Shipping was offered, We will be able to refund the purchase price less the cost of shipping the order to you. For instance, your order totals $100 w/ Free Shipping, and our cost to ship the order to you is $10. When you return the item(s), We will be able to refund you $90. For additional information on our return policies, or for further help, please contact us.